Fresh basil is delicious and totally different than the woody tasting dried version. The classic pairing is with tomatoes. Nothing tastes more like summer to me! There are many health benefits to basil's essential oil, but this is an extracted, concentrated form of basil. 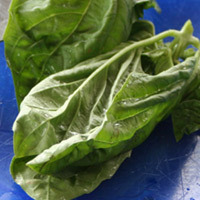 To obtain those benefits you would have to consume a lot fresh basil. Freezing and Drying- I don't recommend freezing or drying it. It easily looses its flavor. At the base of the bunch, cut off the stems. Gently rinse leaves in a bowl of cold water. Pat dry. Slice in thin strips. 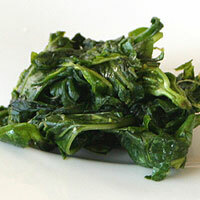 Add to salads, bruschettas, fresh fruit, and pasta dishes. 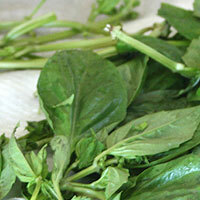 It's best to place basil leaves in a bowl of cold water to rinse them. Rinsing them under running water can bruise them. 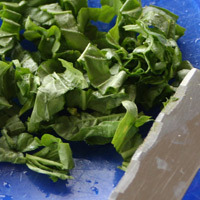 It is best to dry the leaves before chopping them. They will be crisper and taste better. At the base of the bunch, cut off the stems. Gently rinse leaves in a bowl of cold water. Pat dry. Working in batches, add leaves to a mortar. Using the pestle, bruise the leaves until very limp and moist. 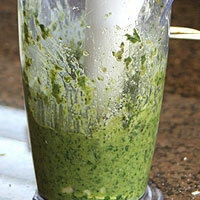 Add to a food processor or the cup of an immersion blender. Process with desired ingredients. 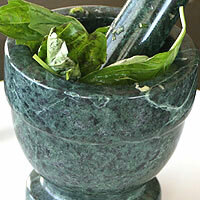 Bruising the basil leaves using a mortar and pestle really brings out the flavor. I taste tested this with pesto. I made one using a mortar and pestle, then an immersion blender and the other with just an immersion blender. It was like tasting two completely different recipes. It is a lot of extra work, but worth it for the great flavor!